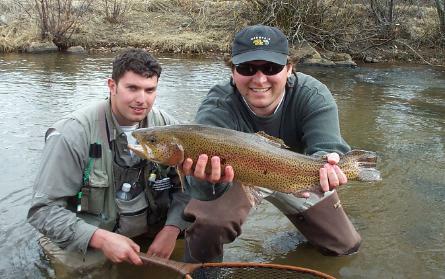 At Colorado Trout Hunters, we have a wide range of Colorado fly fishing trip options. We offer guided fly fishing trips on both public and private blue ribbon trout water, multi-day fly fishing trips, full or half day fly fishing trips, and we are introducing 1/2 day fly fishing trips in the evening for anglers unavailable to fish during the day. Our full day guided Colorado fly fishing trip package includes rental equipment if needed (rod, reel, waders), terminal tackle, beverages, lunch and dessert. We typically fish from 8:30 am until 4:30 pm, but we will work around your needs and any specific fishing conditions for the best fishing that day. A gratuity for the guide is not included (approx. 20%). Flies are also included in the fly fishing trip price. (usually 12-24 flies are used per person on a full day trip). Guided Colorado fly fishing trips are a great way to get introduced to the sport of fly fishing and learn new waters. 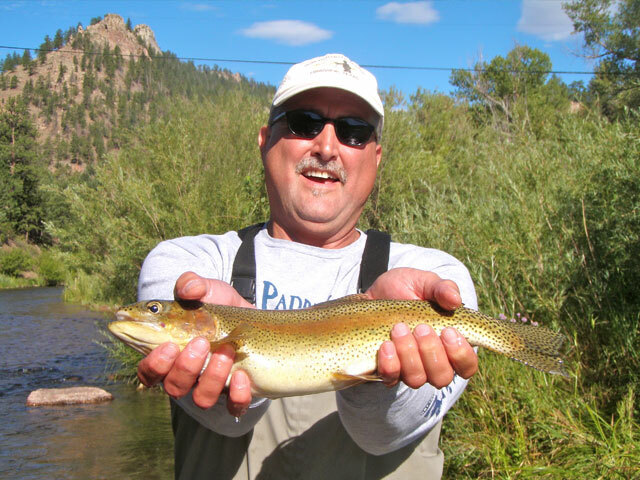 Let one of our expert fly fishing guides introduce you and your friends to this wonderful Colorado pastime. We look forward to seeing you on the river! Special arrangements and all inclusive Colorado fly fishing trip pricing includes (guide gratuity and flies) is available for those seeking team building corporate fly fishing trips or for those seeking to purchase gift certificates for a Colorado fly fishing guide trip or lesson. We also offer instructional fly fishing guide trips and Colorado fly fishing lessons to brush up on or learn new skills. We have access to a variety of still water fisheries, including ponds, lakes, and reservoirs. These can be great for anglers who have difficulty hiking, or for anglers who just enjoy something a little different, like catching brook trout up to twenty inches on dry flies! Our Colorado stream and river fly fishing destinations can range from small creeks with fantastic dry fly trout fishing action to figuring out how to catch those big hogs you can see lurking on the bottom. 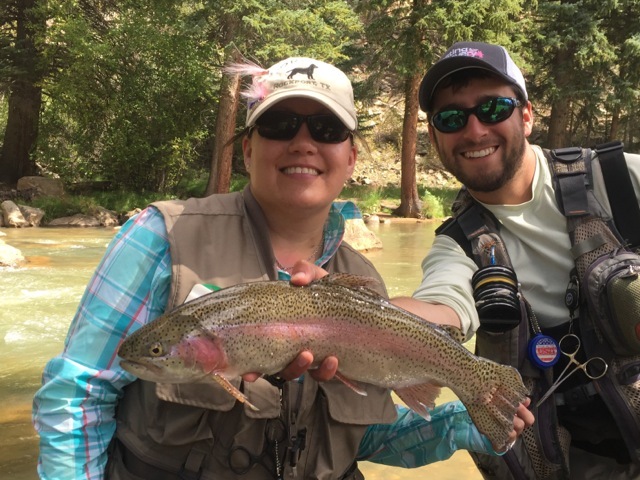 Give Colorado Trout Hunters a call at 303-325-5515 and we can discuss where the fly fishing is currently the best and what kind of Colorado fly fishing trip will suit your needs! Remember customer service is our #1 goal! 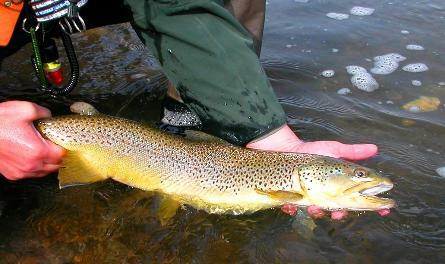 + Over 50 Additional Private Colorado Fly Fishing Properties!